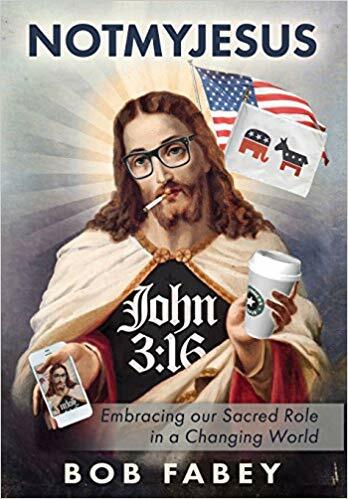 People have attempted to co-opt Jesus into their own ideas of who he is and how he functions. This is represented by various political, social and even economic groups claiming Jesus would be on their side. Not only has this served to further the divide we have in our country, it takes our focus off the emphasis Jesus placed on our God-given responsibility, namely to love one another. In this milieu, many Christians have become disenfranchised, hurt and lost. You only need to look as far as social media to see this. Many of the people I minister to fall into this category. They ‘love’ Jesus, but don’t like his people. They identify far more with those who don’t follow Jesus than those who claim they do. They don’t worship. They see what is wrong with the Church more than they see what is right. They have felt the sting of being left out of ‘the club’ because they had questions, doubt or didn’t feel like they fit in. They do not hold to any sacred view of the Church or Christ. How do we reach people like this? By not compromising the Gospel. Jesus is Lord. It is that simple and it will never change. Living our lives in such a way as to reveal his Lordship to those around us. Our lives should be filled with love, joy, peace, patience, kindness… (the fruits of the Spirit). This is what we offer to the world, Christ in us. We do this verbally and through our actions. We don’t just hope they will see Jesus in us. We are active in our efforts to reveal him. We speak their language. We are past the time when Christianity is the dominant religious, socio-historical, cultural force in North America. To operate that way, to use language or actions bathed in such a context is to miss the mark. This is a culturally appropriate effort to respond to the pain and disappointment many have experienced and pointing them in Christ’s direction." ​​​By subscribing, you confirm you're at least 13 years of age and you agree that you want to enter to win a copy of Not My Jesus and agree to receive occasional emails from Bob Fabey Ministries, and FrontGate Media. This page is designed by FrontGate Media. You may unsubscribe from these email communications at any time.